Welcome. My name is Peggy Hogan and I’m committed to the process of teaching both people and horses the benefits of using the most humane training system available. Contrary to what many might think, this is NOT Natural Horsemanship. While Horse Whispering is very popular right now, there is a major change in the training techniques in Zoos, Professional Trainers, Marine Parks and movie industry. These professionals are turning to the use of a marker signal and food reinforcers for training. I’m convinced the horse world will eventually follow suit en masse, and I am enjoying being a part of the process. If you’d like to learn more, please visit my other websites. 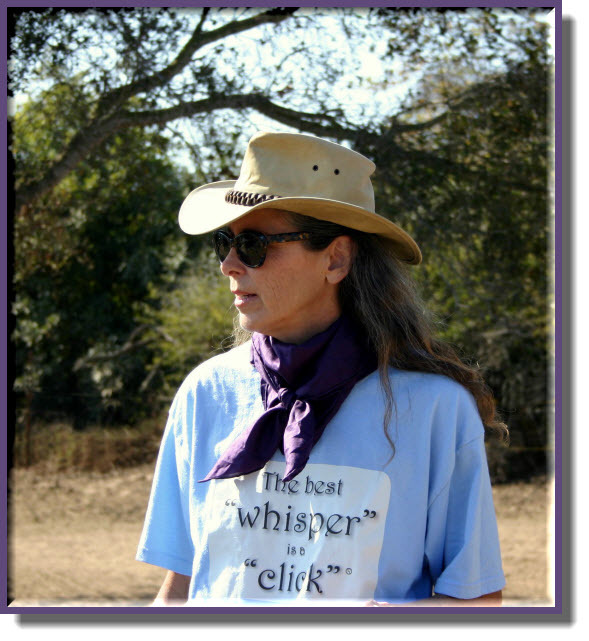 www.thebestwhisperisaclick.com and www.clickertraininghorses.com.